Jared Michael-Vincent Landaker was born to Joe and Laura Landaker at their home in Madera, CA on May 3, 1981. His parents moved to Big Bear City, CA when his father transferred to Running Springs, CA with the California Highway Patrol. Jared attended school in Big Bear Valley where he excelled in soccer, baseball, and football. In his 1998 season, he was chosen as all CIF defensive back for the Big Bear High School Bears and was selected to play in Hawaii his senior year. Upon graduation from high school, Jared enrolled at the University of La Verne in California where he graduated with a Bachelor Degree in Physics. 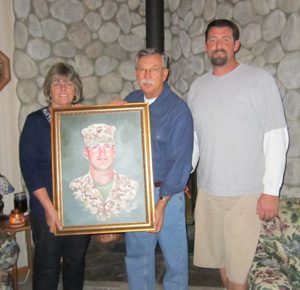 After the 9-11 attack, Jared felt a sense of duty and elected to OCS in the United States Marine Corps upon graduation. While attending college, Jared began to take Platoon Leaders Courses on his summer break between his Junior and Senior years of college. Following graduation in 2003, Jared accepted his Commission in the United States Marines as a 2nd Lt. and began his training in Quantico, Virginia at The Basic School. 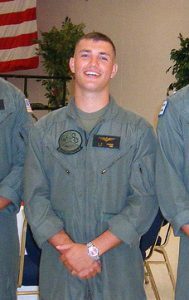 Upon completion of TBS, Jared transferred to Pensacola, Florida for flight school, where he excelled and graduated at the top of his class. Jared completed school by being named in the top 5% of all students and a position on the Commodore’s list. 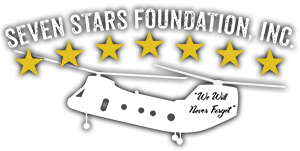 During his time at flight school, Jared opted to fly helicopters instead of flying jets. He stated “he wanted to fly Marines in, but more importantly fly them out”. Jared reported to Camp Pendleton, California to train in the CH-46 medium helicopter with Squadron HMMT-164. After completion of his training, he reported to HMM-364, the “World Famous Purple Foxes” where he also became their S2 (Officer Intelligence Officer). 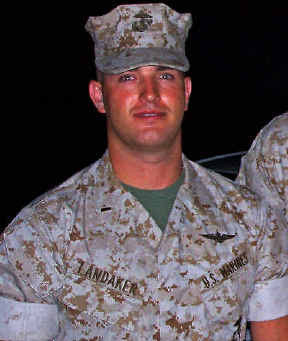 August 18, 2006, Lt. Landaker deployed to the Al Anbar Province in Iraq in support of Operation Iraqi Freedom. While there, Lt. Landaker would complete his HAC qualification early with a total of 496 hours to become a “Helicopter Aircraft Commander”. Jared was selected to depart Iraq early to attend Weapons and Tactical School in Yuma, AZ for training as a WTI Instructor. With only a week left in Iraq, his crewmembers received a call that three Marines were wounded and needed a Cas-e-Vac flight. With his flight crew and Corpsmen on board, they picked up the wounded and delivered them to Balad Hospital. Upon the return flight to their base, they were requested to pick up some blood and transport it to the hospital in Fallujah.